hd00:12Heap of freshly baked traditional bread on stall at the bazaar. Close up on a beautiful home made bread on a shelf. Bread loaf with golden color is cooled on bakery shelves. hd00:07Variety of fresh croissants in a bakery store. 4k00:19Fresh croissant a flaky, viennoiserie pastry on wooden board. hd00:15Preparing homemade white bread in the bakery. Hot bread removed from the oven. 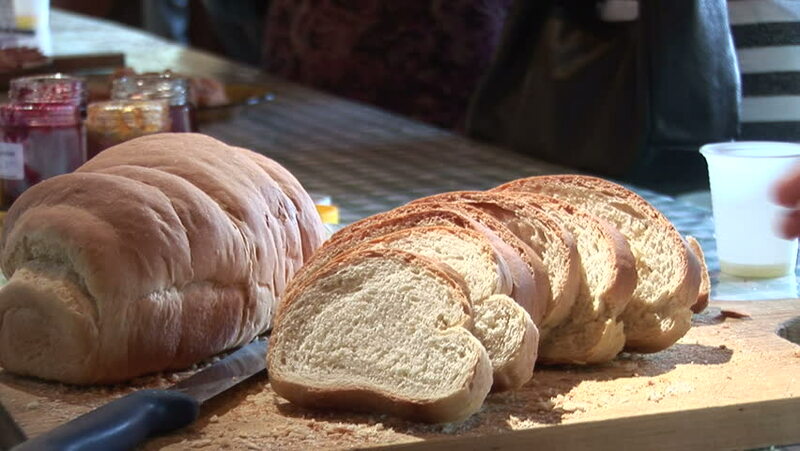 In the foreground is freshly baked bread and in background bakers removed prepared bread from the stove.